OpenCon 2018: Apply now to win a Library-sponsored place! We’re excited to be sponsoring a Manchester PhD student or early career researcher with a passion for Open Research to attend OpenCon 2018 in Toronto, Canada, from 2nd – 4th November. Organised by SPARC, the Right to Research Coalition and a global conference committee, OpenCon encourages the exploration of opportunities to advance Open Access and Open Data in a positive and supportive environment (see Code of Conduct). This is a great opportunity to learn more about Open Research issues, develop critical skills, contribute to collaborative projects and meet members of a growing global community advocating for a more open system of sharing the world’s information. The travel scholarship covers the cost of the registration fee, flight and shared accommodation. The University Library will reimburse the cost of sundries not covered by the scholarship. In return we’ll ask the successful applicant to contribute to one of the Library’s upcoming Open Research Forum events and write up their conference experience in a short report for our Library Research Plus blog. Selection will be based on demonstration of active engagement with the Open Research agenda. The deadline for submissions is 5pm on Thursday 20th September. We’ll review applications and contact all candidates by the end of September. For inspiration and info, check out our blog posts on experiences of OpenCon 2017, from the perspective of the winner of last year’s sponsored place, Astronomy Open Science Champion Rachael Ainsworth, and our Research Data Librarian Rosie Higman. 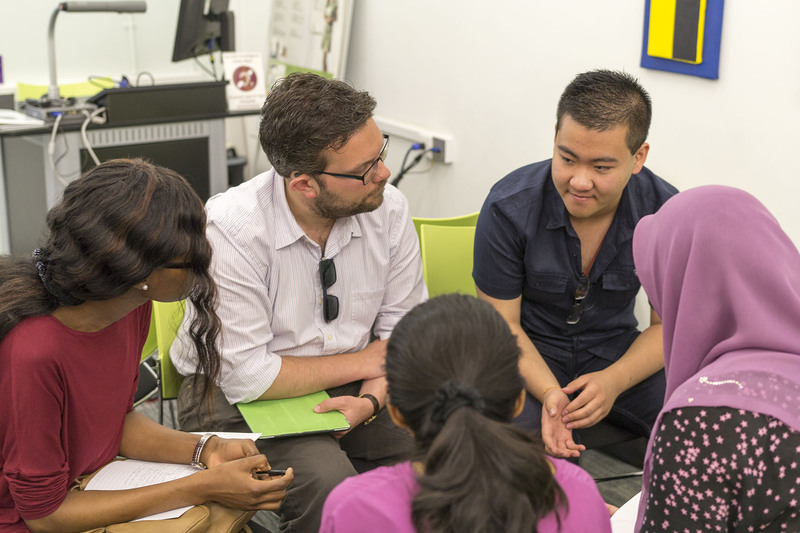 At The University of Manchester Library, we’re passionate about supporting and facilitating Open Access (OA) research and helping our Postgraduate research (PGR) students to thrive. These concerns form two key elements of our new Library Strategy to support the University in producing world class research. Last year I worked with colleagues across the University to target these important areas simultaneously, by introducing an Open Access policy for postgraduate research theses. One year and 999 thesis submissions later, 88% of final theses have been approved to be immediately OA or OA within 12 months of submission. The success of the policy so far suggests an appetite for OA amongst PGR students and their supervisors at Manchester. Manchester is committed to ensuring as wide an audience as possible can read the outputs of its research. In 2016, following the launch of Research England (previously HEFCE)’s OA policy, we introduced our long-planned institutional policy, requiring all staff to make their published papers OA. The University recognises postgraduate theses as valuable research outputs, and Manchester Doctoral College champions the importance of treating PGR students as academic staff wherever possible. 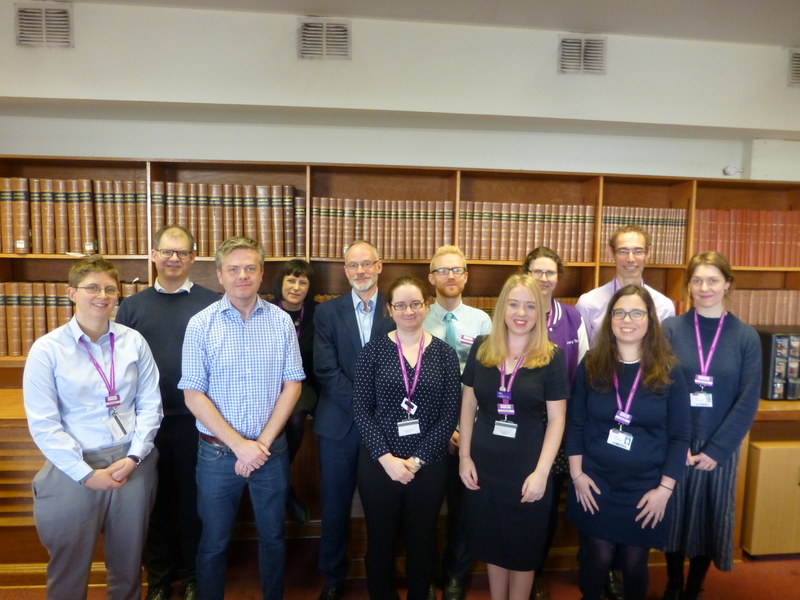 We were keen to bring PGRs and theses in line with Manchester’s other academics and research outputs, to ensure everyone can benefit from this important work, complementing ongoing work by the Library’s Content, Collections and Discovery team to digitise older, paper-based theses. We’ve supported electronic submission of PhD theses since 2010, and around 1,000 PGRs use our bespoke eThesis submission system developed by the Library each year. Having expert developers in-house who built and maintain this system allows us to offer a consistently high level of support, as well as being able to adapt the system to support the OA policy without having to submit costly work requests to external developers. PGRs are supported by a range of University departments, from administrators in Faculties, to development officers tasked with training, and senior leaders responsible for graduate education, so it was important to consult with key stakeholders throughout the project. The outcome was a refreshed submission form, enhanced submission management system, and brand new supervisor approval portal which have all proven straightforward for students, supervisors and administrators to use. We’ve also improved our eThesis Support Service webpages, with dedicated pages for different stakeholders offering a more personalised user experience, and developed robust guidance materials and well-received student and supervisor training. Our PGRS can choose from two access levels within the terms of the policy: immediate OA or OA with a 12 month embargo, or they can request an exception to the thesis OA policy. If they request an exception, they select from five formally agreed reasons, related to sponsorship or sensitive content, plus a free text ‘Other’ box. They can then select an exceptional access level: a 2 year or 5 year embargo, or indefinite closed access. To ensure that appropriate access levels are applied to theses, we added a supervisor approval step to the thesis submission process. Supervisors access a dedicated portal to either approve or override their student’s access level selection, based on their understanding of the policy and the specific requirements of the student’s thesis. The final thesis is made available via the University’s Research Explorer according to the supervisor’s approved access level. Since we launched the policy in June 2017, 999 students have completed eThesis submission, and 877 (88%) of these have selected an access level in line with the policy: either immediate OA or a 12 month embargo. This suggests that the majority of students feel it’s appropriate to make their thesis open within 12 months of submission, and are therefore able to comply with the policy. Although the data suggest an overall increase in OA for Manchester theses, introducing the option of a 12 month embargo means that a higher proportion of our theses are only becoming OA after a delay. Prior to the policy, approximately 60% of theses were made immediately OA, compared to around 52% now. Although we’d like to see the selection of immediate OA increase, on the whole I feel this dip is a reasonable trade-off for improved thesis access long-term. Most supervisors have endorsed their student’s preferred access level, approving the selection in 71% of cases (708 submissions), and only overriding 35 selections (3.5%). Where students requested exceptions to the policy, the most common reason was that the thesis contained data likely to be included in future research by supervisor or collaborators (39 cases, 4% of all submissions). We deliberately omitted publishing plans from the agreed reasons for requesting an exception, as we wanted to avoid prejudicing students against making their work open within 12 months for this reason. As most academic publishers don’t consider a thesis to be a prior publication, we opted to handle this issue by exception, providing guidance on our support website, and less than 2% of submitting students opted for a longer embargo for this reason. A year on from launch, both the policy and revised submission process are well-established. The system architecture has worked consistently and effectively, including during our peak submission period in late September – its first major test – when 314 submissions took place in one week. We’ve only had a small number of enquiries from students and supervisors concerned about access levels, and responses are generally favourable once the policy’s motivations and requirements are explained. Some follow-up work was required to address a handful of issues including handling redacted theses; improving back-end functionality to aid monitoring of access levels; and enhancements to how theses are displayed in our Research Explorer. Aside from these issues, we’ve succeeded in embedding OA considerations into the PhD submission process, and we’ll continue to explore ways in which we can support PGRs on their academic journeys, and open up Manchester’s research to the world. When The University of Manchester Library restructured its learning and research support activities in 2012 (as explained in a Research Libraries UK blog post), one of the aspirations was to do more to support our researchers in their publishing activities. Subsequently, our developing Scholarly Communications Service has explored the role of the Library in supporting researchers who are interested in creating new journal titles, a service area which has seen substantial growth in the academic library sector, illustrated by the emergence of networks such as the Library Publishing Coalition. At the same time, Manchester University Press, under the leadership of Dr Frances Pinter, a well-established innovator in the publishing industry, embarked on a strategy focusing on Open Access publishing, and the Press and the Library began to develop a collaborative approach to furthering the research publishing ambitions of the University. This partnership led to a joint project to create a new academic journal, which has recently been launched under a shared brand: Manchester Open Library. Further opportunity to work together came in 2014, when the University established a Centre for Higher Education Research, Innovation and Learning (CHERIL). CHERIL issued an internal funding call, and the Library led a bid with the Press as a partner. We succeeded in winning funding for our proposal, Student Open Access Research (SOAR), and embarked upon a project to explore the issues surrounding student publishing. We sought to understand levels of awareness and demand, support and training needs, technical infrastructure requirements and the costs of running student publishing services. In addition, we wanted to explore the relationship between research and learning, and the concept of the student publishing service as a tangible benefit to taught students at a research-intensive institution like Manchester. The University has a strategic commitment to research-led teaching, and SOAR aimed to support this aspect of the University’s 2020 strategy. To explore the value of publishing not just research papers, but also student reflective pieces on their learning. To deliver on these objectives, the project was highly consultative, engaging with students at all levels, and academics in a variety of disciplines. Workshops and interviews developed our understanding of student views, the opportunities and the barriers , and the dimensions of a potential service offering. In addition, we benchmarked our activities against other institutions doing interesting work in this space, including Edinburgh and Purdue. A student journal can act as a training tool, developing the skills of research students, and preparing taught students for what it means to be a researcher. Don’t underestimate the work necessary, from the students themselves, from their supervisors, and from service provider. Publishing is time-consuming, and requires student editorial teams to develop expertise in activities that are likely to be very new to them. Academic support is critical: experiences with the Manchester Medical School student journal showed us how important strong and committed academic leadership is when working with inexperienced editors, and let’s not forget the succession planning issues associated with the inevitable turnover as students graduate. Interestingly, we found the well-established open source journal platform, Open Journal Systems (OJS) was not ideal for student publishing, as the levels of complexity associated with it would bring a significant support overhead. The notion that students might publish ‘learning logs’ did not emerge as likely, at least in terms of scholarly papers. Instead, such pieces might lend themselves more to informal publishing, such as blogs. We couldn’t determine fully what the market for a student journal publishing service at Manchester would be, and so concluded that it would be premature to develop a service, at significant cost, ahead of clarity about the demand. Instead, it will be more sensible to develop the draft toolkit we produced into a full training service, allowing us to develop our students without committing to resource-intensive and potentially unsustainable journal production. It will be vital that any student publishing associated with Manchester is of high quality, and this reinforces the need to be cautious at this stage, and only develop titles we have confidence will deliver outputs we wish to be associated with the University. We also concluded that an interdisciplinary approach would be helpful, as this also delivers on a commitment in Manchester’s strategy and we are influenced by the success of Purdue’s multidisciplinary student journal, JPUR. It’s very pleasing to be able to announce that the work completed by SOAR allowed us to make a compelling case for funding for the coming year, and we will shortly commence work on our next project in this area, PuRLS (Publishing and Research Learning for Students). This project will focus on the production of face-to-face and online training materials, and further build on the relationship between the Library and the Press. Look for news about PuRLS in a future blog post here!